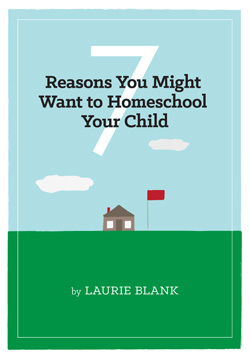 As a proponent and active homeschooling parent, Laurie lays out 7 reasons for homeschooling your child. She also addresses common myths associated with homeschooling including socialization and “know-how”. 22-pages. PDF format.